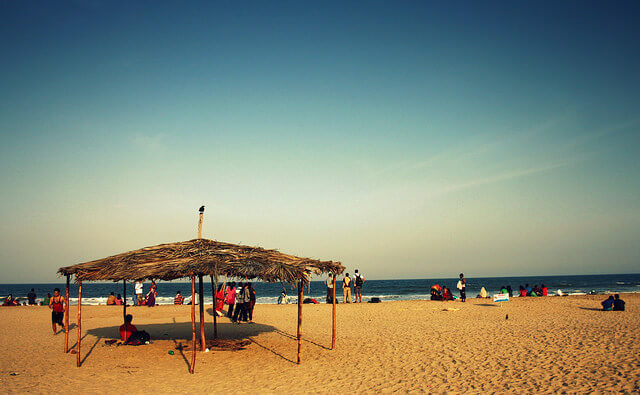 Wondering about a weekend timeout on a beach far away from the maddening crowd? Are you a fan of tranquil, unspoiled and picture perfect shores, then pack your beach wear and take a trip to ‘Paradise Beach’ in Pondicherry. True to its name in every sense ‘Paradise Beach’ is pretty close to be being paradise like. Adorned with shining golden sands, glittering waters and all on its own, get swept away by the calmness and serenity of this beach which is quite a hit amongst families looking for an undisturbed timeout and couples looking for a romantic hour together alike. 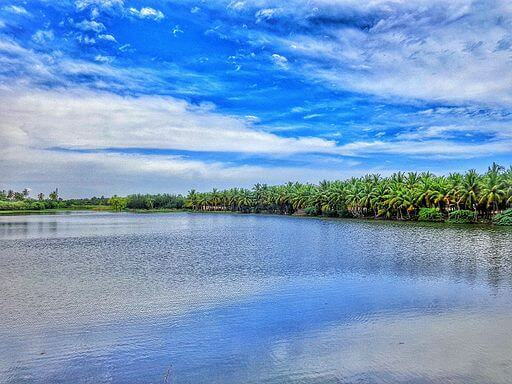 Paradise Beach can only be reached by boat ride which takes around 15-20 mins from the Chunnambar resort maintained by PTDC, which lies on the Cuddalore Main Road in Pondicherry, nearly 8 km from the City Centre. Buy a return ferry ticket priced at almost Rs 200 per person, these boats take a trip at an interval of every 30mins. Speed boats, Jet skis, and Standard boats are available as options to choose from as your ride till 5PM. Paradise Beach is formed by a small island of sorts and kind of separates the backwater area from the actual sea. You can take a boat ride from Chunnambar resort from morning till evening 5 PM. The boat ride across the backwaters to the beach itself is a pretty relaxing 15 mins ride to the beach. The boats are pretty basic and once on the beach you can spend time till the evening and then get back. So ensure to make the most of the time soaking in the southern sun and feeling the salty sea breeze. Don’t try to go swimming since it is strictly prohibited but you can play around in the waves and get soaked in the sea. Quite a few huts are lined up on the beach to help you change clothes or take shelter when it rains. You could also munch on some chips and coke bought from the small kiosks there. Pretty thoughtful for the authorities to also have two toilets and a bathroom to help get rid of the sand. You can also spot vibrantly colored fishes in the backwater near the pier. A view of the sunset from Paradise Beach, Pondicherry. There is one restaurant at the Island itself if you wish to eat at the Paradise Beach which serves pretty good food. Also, there are a good number of upscale restaurants on the beach-side for the tourists, though try digging into a plate of delicious chicken Biryani at the restaurant near the resort after a good few hours at the beach, playing in the sea. Hey, my name is Hussain Ahmed and i am a Software Engineer, an avid traveler with a keen interest in learning about new places, culture, history and people in general. This site was setup to help me jot down my research, learning about various travel and leisure avenues which India has to offer. Please feel free to contact me if you have any comments, questions, or suggestions.